This is the fourth track of Dr. Leonard Horowitz's Solfeggio Eclectica Album. The following chart provides information regarding the indications for this frequency therapy recording. This track follows the second chakra therapy track titled "Creative Confidence." That composition is the third track of the album. There are two root chakra balancing recordings in Solfeggio Eclectica that lend support to these second and third chakra compositions. This fourth track is recorded in the Solfeggio frequencies of 396Hz and its harmonic 528Hz, and is presented in biaural arrangement. This therapy is great if you often feel butterflies in your stomach when being emotionally distressed, or feeling attacked. Your solar plexus chakra can use a tune-up in that case. This is the seat of your will-power and feeling self-confident and effective in life or work. Feeling you can’t control your life? Or, alternatively, must you always control everything? 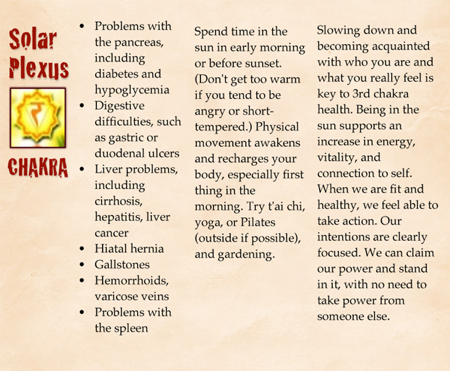 Then your solar plexus chakra is likely underactive or overactive, respectively. When your solar plexus energy is balanced, you will feel more confident and motivated in life. Less butterflies or nausea in your stomach in response to stress tells you this treatment is working. Balancing the solar plexus chakra can positively shift your state of mind, point of view, beliefs and attitudes for your highest good. You can recover your higher more “conscious” self, or “god self” that exercises strength of will. This chakra is also important in your fellowship with the Creator and sustainer. 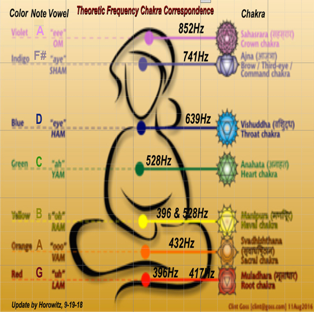 Click the button below to add the Third Chakra Therapy - Solfeggio 396Hz and 528Hz Binaural (Mp3) to your wish list.